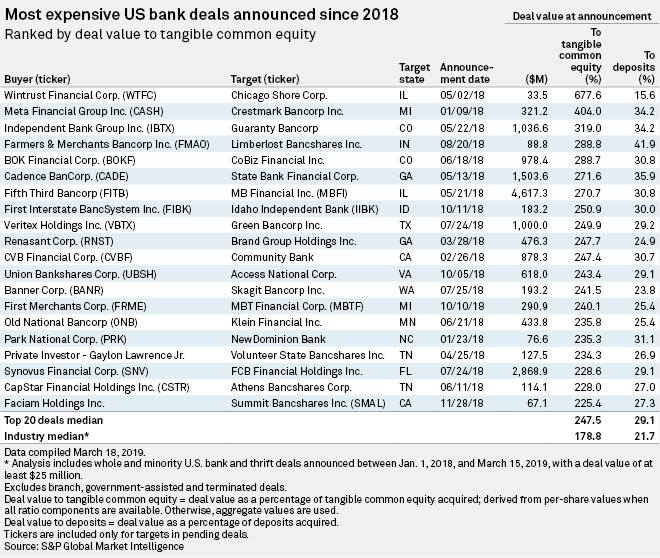 While the number of bank and thrift deals announced year-to-date in 2019 has fallen, total deal value has surged. As of March 15, 43 U.S. bank and thrift deals had been announced, down from 47 in the prior-year period. 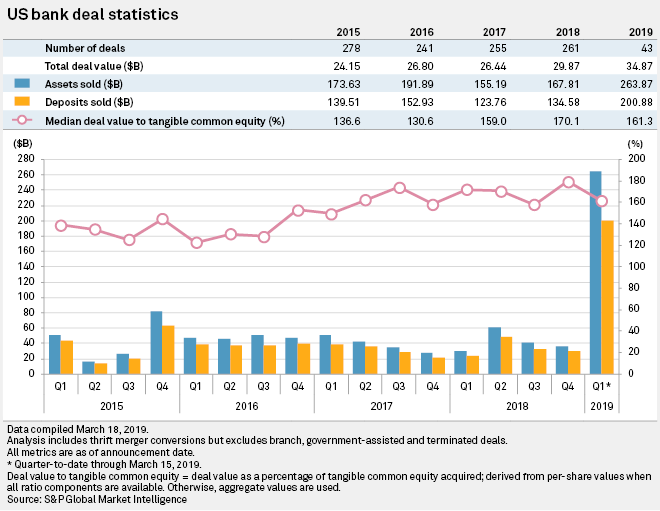 Meanwhile, total deal value had jumped to $34.87 billion from $3.63 billion, and the median deal value-to-tangible common equity ratio had dropped to 161.3% from 168.2%. 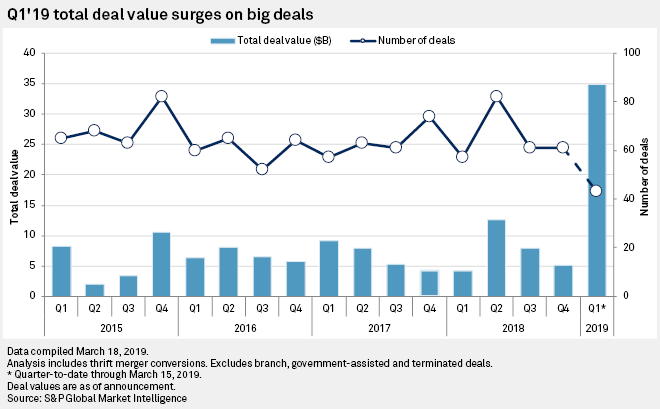 Already in March, four deals have been announced for a total deal value of $2.29 billion and a median deal value-to-tangible common equity ratio of 192.6%. 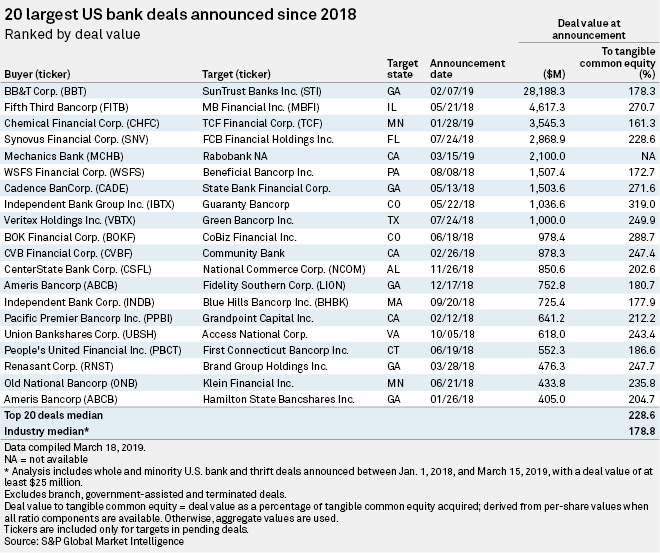 On March 15, Walnut Creek, Calif.-based Mechanics Bank announced it would acquire Roseville, Calif.-based Rabobank NA for $2.10 billion, becoming March's largest deal and the third-largest of the year. Did you enjoy this analysis? Click here to set alerts for future banking Data Dispatches. 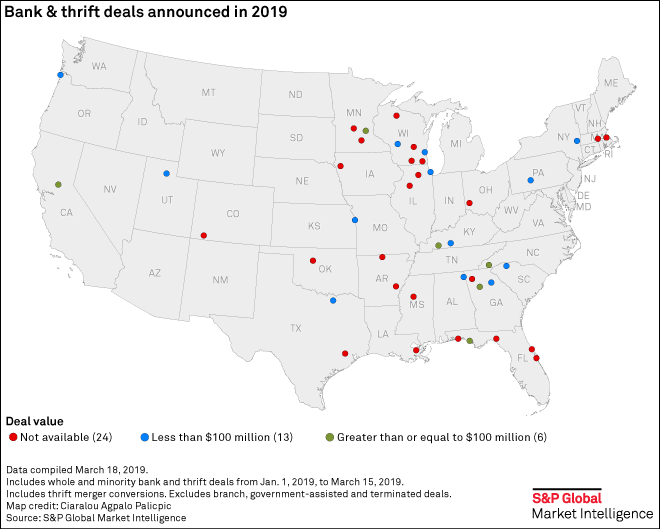 Click here for a spreadsheet listing all bank and thrift deals, including institution keys, since Jan. 1, 2009.